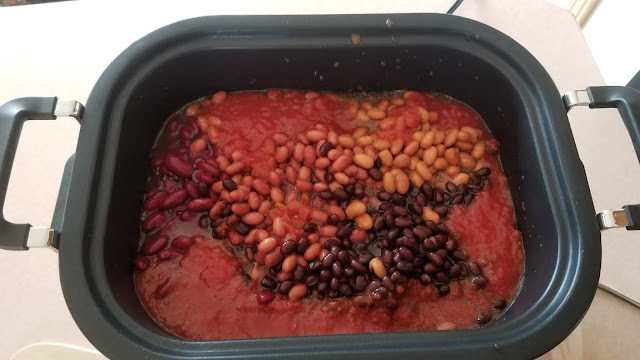 *Disclaimer - I received the product in this post from Crock-Pot, in order to facilitate this post. Are you looking for an awesome cooker that will work for many meals? 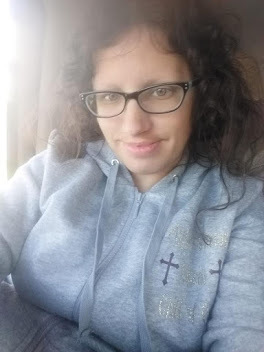 I have always been a huge fan of Crock-Pot products, especially their crockpot slow cookers. 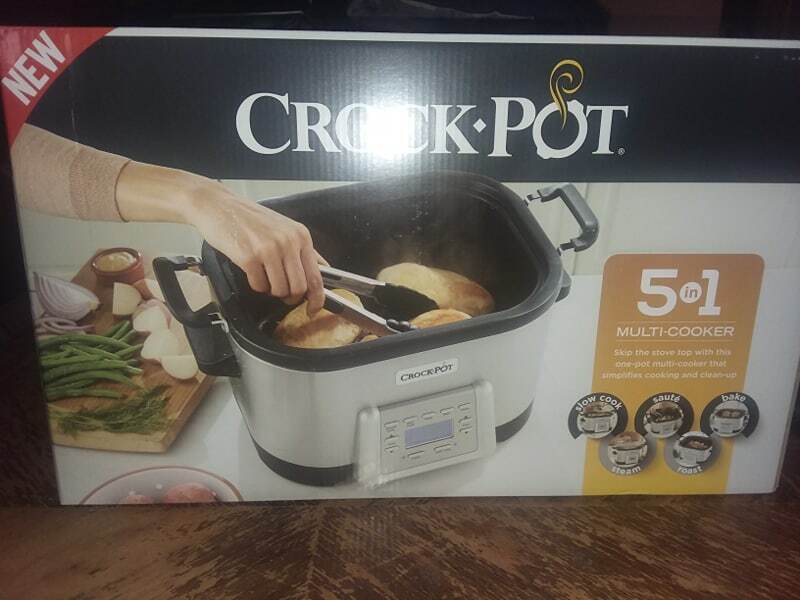 This bad boy is awesome and is known as the 6 Quart 5 in 1 Multi-Cooker and has some great settings on it that will work great for most meals you want to cook in it. 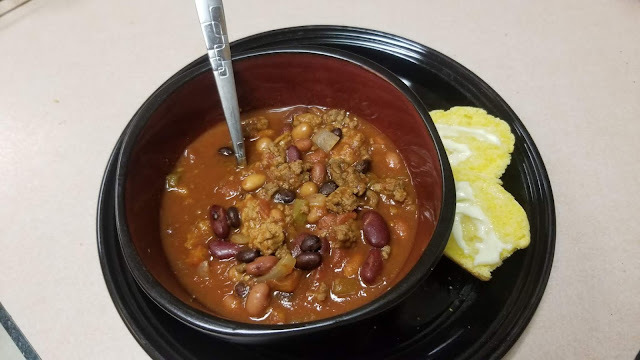 One of our favorite meals is CHILI, so I knew I had to make it in our new multi-cooker. It's a great meal to make, especially when it's winter or still pretty cool outside in the evenings. It's a big hit with everyone but two of our kids. And rolls or buttered bread always goes with it. 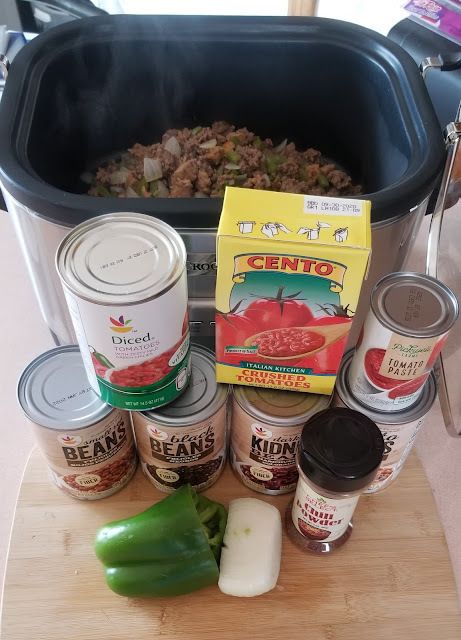 In prior recipes, I have not used green peppers or tomato paste, and I use whole tomatoes and usually two cans of each ingredient for more quantity of chili to have plenty of leftovers. Adding green pepper this time made for an EXCELLENT chili for dinner the other night! For this chili recipe, you will want to set the multi-cooker on brown/saute for cooking the meat, onions, and peppers until the meat is browned and good to go. 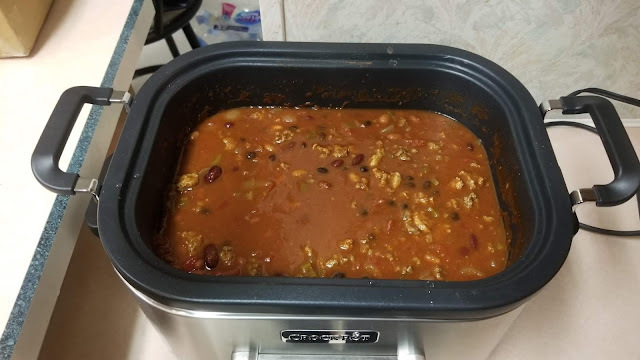 Then, you will want to put the settings to slow cooker on low for 8 hours, and of course, you will want to stir it a couple of times an hour. I am excited to be able to make a spiral ham in this cooker for Easter or soon after. It'll fit perfect for the size of ham we usually buy and cook for Easter and other holidays, to take with us to family's house.